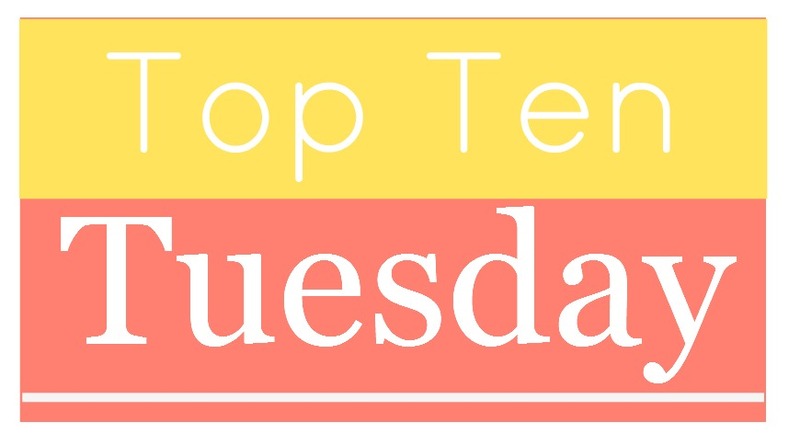 The Broke and the Bookish : Top Ten Books On Our Fall TBR List! 1. Landline by Rainbow Rowell -- This one came in one of my RiotRead packages and I've heard a lot of good things about her. The storyline sounds really interesting too. On the outset, who wouldn't love to be able to call into the past? 2. The Salinger Contract by Adam Langer -- This one is also courtesy of BookRiot--it came in the most recent Quarterly Box. I am really digging the recent spurt of literary mysteries and other books that somehow pay homage to the classics. It sounds like I might not be able to put this one dow! 4. Dracula by Bram Stoker or Frankenstein by Mary Shelley -- I always want to read some sort of dark, creepy book around Halloween and this is the year I think I am finally going to stick with it. I like how Dracula is told through letters, newspaper clippings, and diaries, in addition to parts of regular narration. It makes for an interesting flow. 5. Secrets of the Flesh by Judith Thurman -- This biography has been on my TBR shelf for ages. I am finally going to read it with an online friend who is reading all of the books mentioned on Gilmore Girls in order. I am really excited! 6. This Shattered World by Amie Kaufman and Meagan Spooner -- I LOVED These Broken Stars and can't wait for the sequel! 7. Never Judge a Lady by Her Cover by Sarah MacLean -- Sarah MacLean's historical romance novels are awesome. So obviously I will be devouring this one. 8. Even in Paradise by Chelsey Philpot -- This just sounds like it could be REALLY good and I'm excited! 9. The Fall by Bethany Griffin -- I loved Masque of the Red Death, though I haven't read the sequel yet, and this sounds just as intriguing! 10. Princess of Thorns by Stacey Jay -- It's about Sleeping Beauty's daughter, who is a warrior princess, disguising as a boy. I really don't need to say more, do I? What's on your Fall TBR list?? Wooo I JUST got Landline from the library this week. I've been in line for FOREVER. Excited to read it! Ooh, Dracula and Frankenstein are such good choices for this time of year. I haven't read Frankenstein since college, and I'm not sure I've ever read Dracula. Kind of want to read both now! Landlinesounds amazing. Then again, it's Rainbow, so . . . You'll love either Dracula and/or Frankenstein I haven't read them since high school, but they're such great classics! The Fall is on my list as well! Historical romance books can be very good. Thanks for hosting another week of Top Ten. Even in Paradise looks like a great companion to Great Gatsby for YA readers. Let us know what you think! Dracula is AWESOME. Love it! Even in Paradise is on my TBR list, but it didn't make my top 10. I read Landline last month and really enjoyed it. I hope you enjoy all of your fall books!! Dracula is super creepy! I got about 1/2 way through it last October getting ready for Halloween. I need to start over because I was really enjoying it. I just won landline and can't wait to read my first Rainbow Rowell book. I think it's my first time participating in this linkup, or it's been so long I can't remember. I always love reading everyone's lists so glad I FINALLY got my list done in time to linkup. Thanks for hosting! Your list made me realize that I need to find a good creepy book for Halloween as well -- this year is flying by! Number 1, 7, 9 and 10 sound interesting to me! YES, I need to read LANDLINE as well. I loved ATTACHMENTS and FANGIRL, and this one looks great as well. I really enjoyed Landline and I hope you do too! In other news I'm also excited for Princess of Thorns and Even in Paradise! I had The Signature of All Things by Elizabeth Gilbert waiting me but someone told me it was a boring. I hope you like it! Wow! I can't believe how many people are participating. I'm finding a lot of interesting blogs to visit. Dracula is really great, I've always loved it. Some people find it difficult because obviously, it's not a recent book, but I think it's great. And I need to read Landline too! Bram Stoker's Dracula is one I'll have to read soon, too. I loved the 1931 film, and the way it is written does sound very interesting. This is the second time I'm taking part in this series of posts, and I'm loving it, it's so much fun. And it's astonishing how many bloggers take part - great, great job!